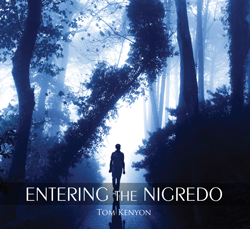 The Nigredo is a stage of internal alchemy that deals with the darkest aspect of the subconscious mind, i.e. the Shadow. The shadow is essentially unowned and unaccepted emotional material from our past, and if it isn’t dealt with it can create a life of its own and act out in unconscious ways. It’s a toxin that can contaminate our psychological and spiritual lives. This set of 9 CDs consists of live recordings from a workshop on the Shadow, the purpose of which is to transform deeply held shadow material. This is done through altered states of consciousness activated by catalytic sound work through Tom’s nearly four-octave voice. The two primary energetic allies in this work are Tahzu’kan, a spirit singer from the Upper Celestial Worlds, and Black Tara, an expression of White Tara, the Tibetan Goddess of Compassion. As a psychotherapist with over 30 years experience, Tom believes that our spiritual liberation can be held captive by unresolved shadow material and any attempt to enter the “light” by avoiding our “darkness” is self-limiting.